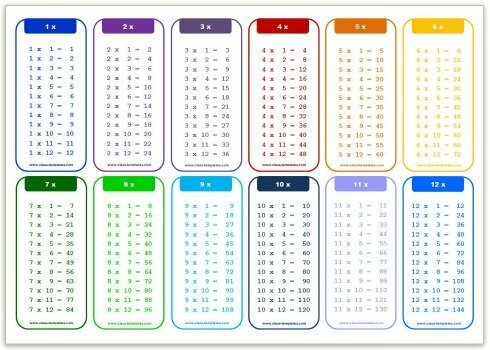 These colorful multiplication charts can be printed on one side of A4. They are great for sticking on the wall or inside an A4 folder. 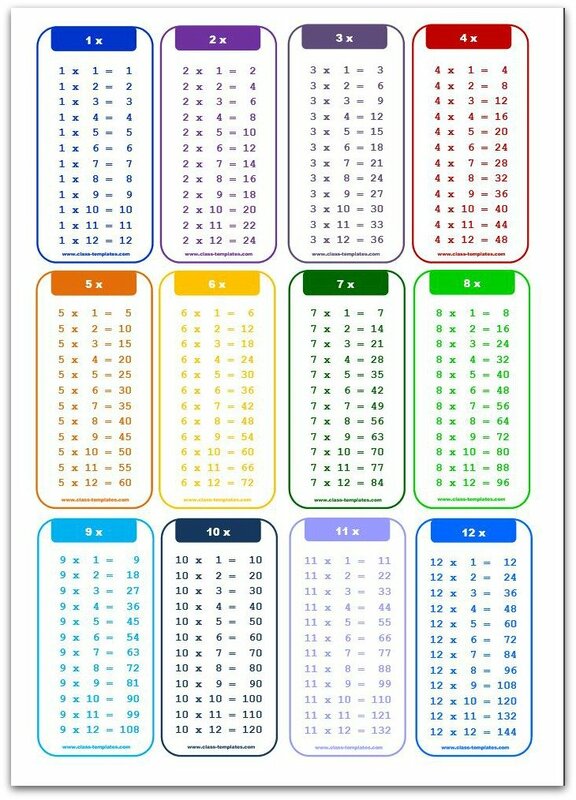 A quick, easy and attractive reference for times tables up until x12. Looking for something more challenging? 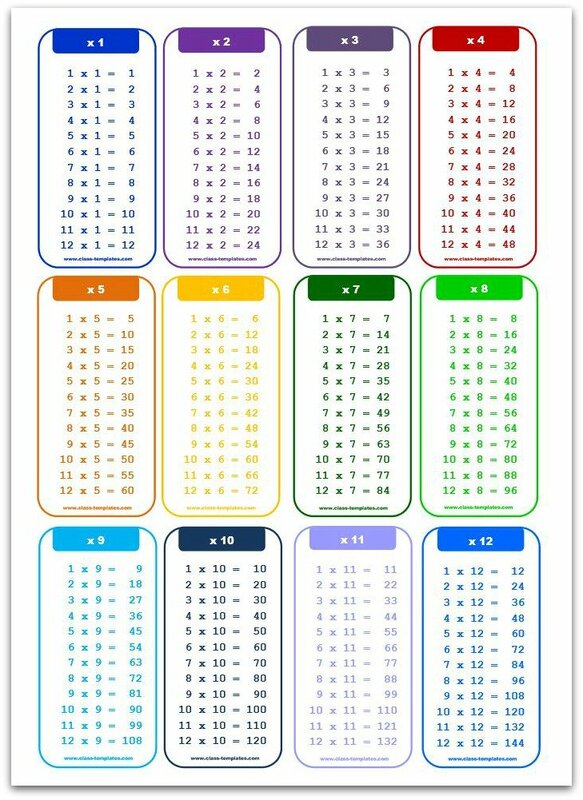 Then check out this multiplication chart to 100. Need some inspiration to help motivate your students to learn their times tables? 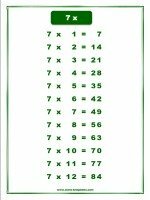 Here are some multiplication songs and tricks on YouTube that could help.